Austin is a total foodie town, with award-winning restaurants, melt-in-your-mouth barbecue and food trucks galore. Throw in a few off-beat food festivals and events, and Austin will have your head turning and your taste buds dancing. The carefree days of chasing after the ice cream truck are alive and well at the Austin Ice Cream Festival. Bring the whole family to Fiesta Gardens for a day of games, contests, live entertainment, and, of course, ice cream. Dozens of Austin favorites will be there dishing out free scoops of creamy goodness, so you can lick to your hearts content. The best way to beat the heat is to eat it. That&apos;s the mantra at the Austin Chronicle Hot Sauce Festival. For more than 25 years, this event has grown to become one of Austin&apos;s biggest annual parties. 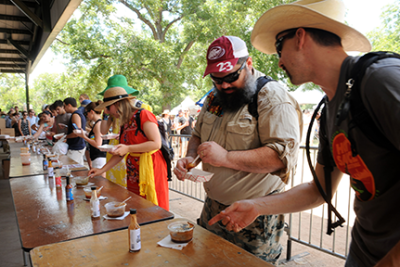 Spicy food lovers from all over the country come to Fiesta Gardens to test their heat threshold with more than 350 hot sauces. Prepare to sweat. Bring your appetite to Trailer Food Tuesdays, a monthly series that showcases some of Austin&apos;s most popular food trucks. 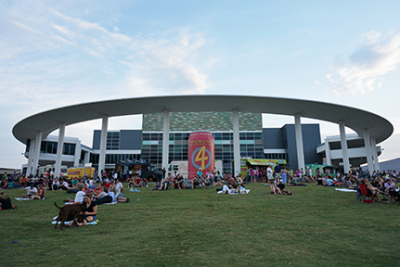 Every month, food trucks gather at the Long Center to serve up everything from brisket tacos and lobster rolls to frozen custard and ice cream bars. Featured trucks change every month, so there&apos;s always something new to try. Once you&apos;ve grabbed your desired dish, settle in for an evening of live music from local musicians. The food frenzy continues throughout the summer at a number of Austin eateries. Banger&apos;s Sausage House & Beer Garden hosts a monthly Saturday Smoke Out, where smoked meats of all kinds are served up along with a day of live music. The menu changes every time based on the chosen theme, so you can chow down on everything from brined whole hog to smoked turkey. At Shoal Creek Saloon, the city&apos;s Cajun headquarters, you can enjoy seasonal daily crawfish boils. Watch as the crustaceans are prepared and cooked, and then dive in for a delicious meal. Austin&apos;s epicurean festivities can be experienced year-round. Enjoy a weekly brunch buffet alongside upbeat jazz bands at Nutty Brown Cafe. Discover more of Austin&apos;s incredible restaurants and food trucks on our Food & Drink page, or visit the calendar of events for plenty of mouth-watering Austin festivals.